The Bucks blew double digit 4th quarter leads in the last two games. Take away Giannis and Brogdon from the stat line, the rest of the Bucks shot 20 for 67 (.2985) from the floor against a team 38 games below .500 coming into the night. You’re right, Music City. There’s no excuse for this. The team mailed it in, and should be completely embarrassed. So where does this leave them in the playoff standings??? and how many more games do they need to win to be a first round playoff team?? Fitting that Middleton misses again. 1 for ****ing 13, after an 8-24 performance last game. The Suns are literally laughing at the Bucks at the end. Tonight is exactly why you should NEVER pay Middleton anymore than 20 million/year. He isn't afraid to take the game winners and has made plenty but they guy doesn't seem to step up when they really need him. He's not a #1, #2...borderline #3-#4. Another guy who looks better with 34 by his side. He will be a nobody if he leaves in FA. I understand the Utah loss but they need to grind out a win at the end of this road trip. Hopefully this lights a fire under their sorry asses. Reading the Journal-Sentinel will be interesting in the morning. They should eviscerate some of the players, but will they? 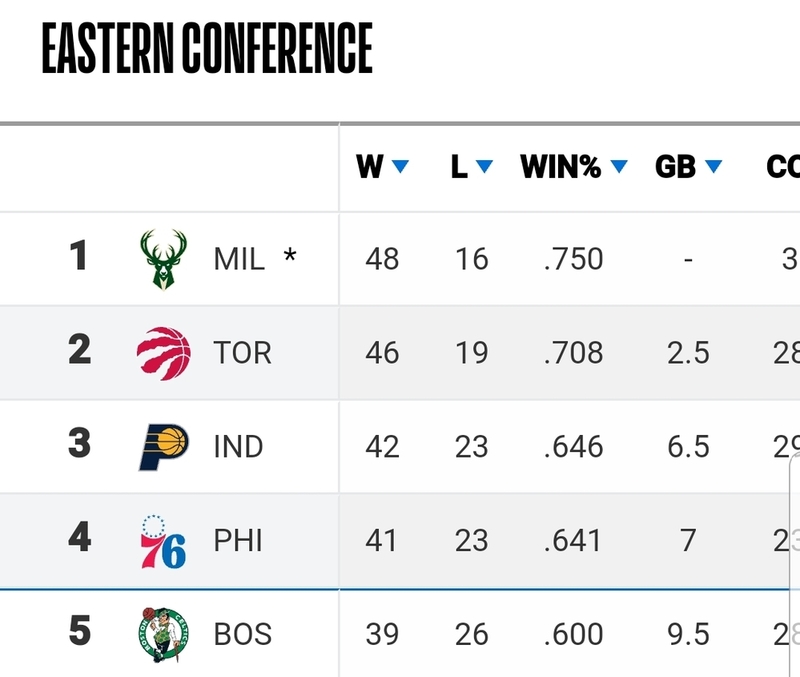 They’re still 2 games ahead of Toronto with 18 to play. GS went out east and lost 3 of 5, so they’re still 3.5 ahead of the Warriors. Middleton and Bledsoe were a combined 6-28 from the field. That’s awful. Not sure if fatigue is an issue but not having George Hill and Sterling Brown available certainly won’t help. What is frustrating to me is they’ve blown sizable leads late in their last two games and it’s been their backcourt defense that has burned them. As bad as Phoenix has been this year they are still an NBA team and if you don’t come ready to play you will get beat. They’ve been so good for the entire season that it’s a huge story when they lose a game like this. Up to now, they haven’t had a problem refocusing and moving forward and hopefully this isn’t a sign of things to come. They are still in control of securing the 1 seed but it’s more important to have good momentum come playoff time. More surprising to me is Philly and Boston haven’t exactly taken a step forward given all the talent and expectations they’ve faced this year. Personally, I hope like heck that they end up as the 4/5 matchup because that ensures one of them will not advance to round 2. 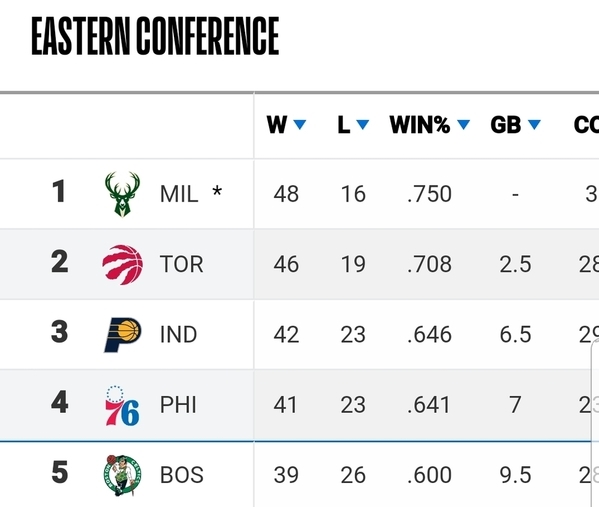 I’m actually more concerned about Philly and Boston than Toronto or Indiana because if they flip the switch they both have more than enough talent to make it to the conference finals. Boston is done IMO. I would worry about the Sixers and the Raptors. This is where Giannis’ lack of counter moves hurts him. Plowing into a guy is fine, you take that advantage. But you see teams are going after the ball as he gathers, and that has lead to turnovers. His counter move needs to be his back to the defender, using his strength, and pulling away to create the space. This is how Harden scores, how Lebron scores. I want Giannis to have Middelton’s turnaround game. I don’t care about threes... I really don’t. Get him in the paint and get impossible to defend in there. He’s struggling at the line now, too, which when you’re getting the calls he’s getting, you cannot miss. I agree the development of a countermove would make him even more unguardable, but the biggest reason the Bucks get in trouble is that that other teams go on runs and get momentum when they sit Giannis for rest. Music has pointed this out in the game threads, but when Giannis sits Bud routes the offense through Middleton which often results in turnovers or bad shots that end up in fast break points or wide open 3s on the other end. The pattern is that Giannis is in during the third quarter and part of the 4th, they build a double digit lead and by the time he's back in it's down to 3-5 points and the other team is in a rhythm. The problem with Middleton's game is that on offense he is a poor man's Carmelo Anthony. When they route it through Middleton, the offense goes stagnant and it gets everyone else out of rhythm. Middleton's also not good enough or athletic enough to beat elite defenders in isolations which leads to turnovers and contested shots. When Giannis is in, even Middleton's occassional isolations look better because the Kawhi Leonard/Al Horford elite defensive players get matched up with Giannis which allows Middleton to attack lesser guys and he's much more effective. If they go iso with Bledsoe, things tend to go better because he is a great slasher and he gets the defense moving and keeps everyone involved. The challenge will be how to manage those minutes when Giannis sits. Bud's keeping his minutes in the 32-34 range most games. Not getting blown out in those other 14-16 minutes is what will be the difference in a successful playoff run (at least the EC Finals) and a second round exit. Last night, the Bucks were -4 in 14 non-Giannis minutes. In Utah, they were -23 in 16 minutes. Nikko was -19 last night. It's one thing when the shots aren't falling, but some of the defense played by Mirotic, Middleton, Patty C, etc....was down right terrible. That's where they miss George Hill, Sterling Brown, and even DJ Wilson. My hunch is its not only injuries/players, but maybe getting a bit too relaxed(read : lazy) on defense. They really miss having Hill and Brown both out. I would guess a lot of that decline in defensive rating is when Bledsoe and/or Brogdon sit. In the end, it comes down to what my earlier post about what happens to the offense when Giannis sits. The same thing goes for the defense. Look at the advanced stats. Giannis has a rating of 119.6 on offense and 98.7 on defense this year. A lot of their guys have good offensive ratings (in fact, Brogdon and Snell are a little higher than Giannis). On defense, no one is close to him. Lopez is at 103.2, Bledsoe 104.9, Middleton 105.2, Brogdon 107.8. The pattern is that Giannis is in during the third quarter and part of the 4th, they build a double digit lead and by the time he's back in it's down to 3-5 points and the other team is in a rhythm. BINGO! Middleton’s limitations have been exposed this season. And the injuries to the Gs exacerbates it because he’s then asked to handle the ball, which is always an adventure. And this is all going to get magnified come playoff time- the Bucks cannot afford Middleton’s mistakes in the playoffs. Great point about him and Melo- it’s very true. But also don’t forget the shortening of the bench that will cone in the playoffs, as well. Assuming Hill is back soon, he gets the backup PG minutes, and they’ll need to watch Brown/Snell closely, but they should get some minutes too. No Connaughton, or anyone else. Brogdon and Bledsoe get 35-40 minutes every game unless they’re in foul trouble or blowing teams out. Gasol was brought in to backup Lopez, and Giannis, Middleton, Mirotic round out the rotation. That’s 8-9 deep. If anyone struggles, go back to the starter. I think another issue is the adage, "Live by the 3, die by the 3." I don't know how many games the Bucks lost where the 3 point shooting was horrid. I get how this is the optimum offensive scheme, but a few games of poor outside shooting in an NBA playoff round may very well bury them. 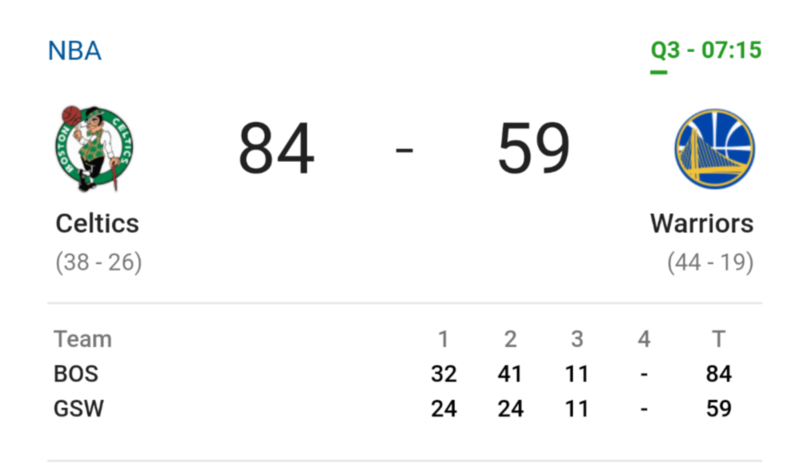 The Bucks haven't looked good since the All Star break, but fortunately nobody in the East is really catching fire to take advantage. Let's see if coming back home for a couple games gets them back on the right track. If they lose either the Thursday or Saturday games, my level of concern will escalate. The chemistry on the team is a little goofy right now with all the roster changes and having a couple guys out. Hopefully coach Bud figures it out and soon. TOR drops 2 in a row, too.